The New York Times recently published an in-depth article on the Orlando region’s growing reputation as a city of innovation and ingenuity. By highlighting Lake Nona and other regional developments, the article illustrates the impact these projects are having on the community’s quality of life and ability to attract high wage jobs to the region. Lake Nona, a 14-square-mile community with hospitals, hotels, office buildings, retail center, schools and homes, is a unique model with a sustainable and groundbreaking approach to development and wellness as a way of life. Lake Nona residents are offered free activities in the community such as bike races, tai chi and yoga classes. 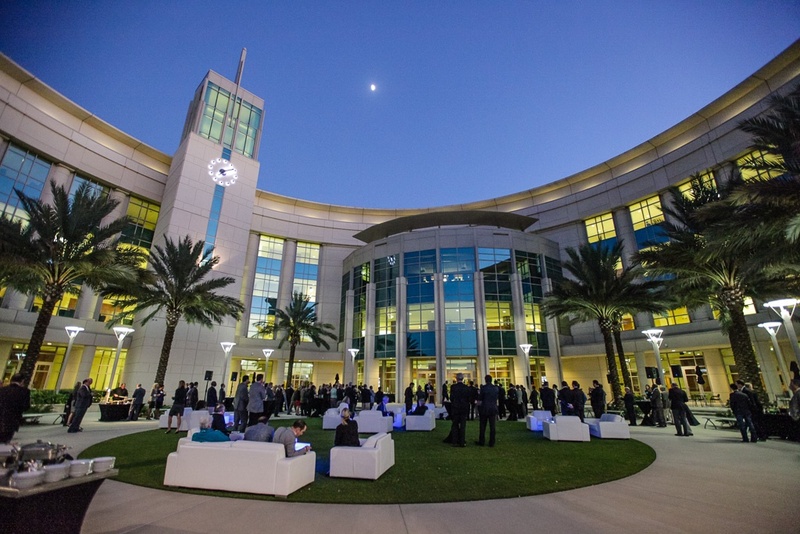 Current commercial occupants of Lake Nona, now known as Medical City, include the University of Central Florida (UCF) Medical Center, Nemours Children’s Hospital, the University of Florida Research and Academic Center, the GuideWell Innovation Center, and a Veterans Affairs hospital that houses the nation’s largest VA medical simulation center: SIMLearn.The United States Tennis Association is opening its national training center in 2017, as well as the United States Professional Tennis Association headquarters and Orlando City Soccer Club’s new 23-acre training facility. UCF recently announced that its new teaching hospital will be built in partnership with Hospital Corporations of America (HCA). The vision of the Lake Nona development is to elevate Orlando’s standing as a world-class city. It’s a key storyline in the Orlando EDC branding campaign, “Orlando: You Don’t Know the Half of It,” as Orlando Mayor Buddy Dyer noted in the New York Times article. Other developments mentioned include the 68-acre mixed-use development Creative Village, located in Downtown Orlando, as well as the International Consortium for Advanced Manufacturing Research (ICAMR) in Osceola County, the world’s first industry-led consortium for manufacturing of smart sensors. These major developments have put Orlando on the map as an epicenter for innovation and research. Orlando continues to be the location of choice for healthcare, professional sports, and innovative technology companies.